Skyrim Alchemy Tool is Here! I’ve completed a preliminary stage of the alchemy tool. You can try it out here – SkyrimAlchemist.com Alchemy Tool. It should be mobile app friendly, though I still need to do a little work to streamline the CSS. To use, click on the Effects or Ingredients tab. On a web browser, hover over the item in order to open the flyout. On a mobile app, click on the link. Clicking on the items in the flyout isn’t enabled yet. Considering for a moment that my ‘dream’ I conversed with my brother was true, I panicked. It was plausible my mother may indeed be looking for me. If nothing else to verify events and fact check. She always was incredibly thorough. Lying to her was pointless. She’d find out, eventually, one way or another. When I came here, I didn’t initially intend on being entirely anonymous. However, my ‘death’ turned out to be an event I came to think of as a blessing. Now I was faced with the possibility that my family was indeed looking for me. I cursed myself. I did not cover my tracks well. It was too late to disappear. I would eventually be discovered. My arrival at Helgen was recorded. They would find my tracks leading to Riverrun, Whiterun, and Solitude. I hatched a new plan. If I could establish enough titles, land, and prestige within Skyrim, then my family would not be able to extract me as a runaway child. 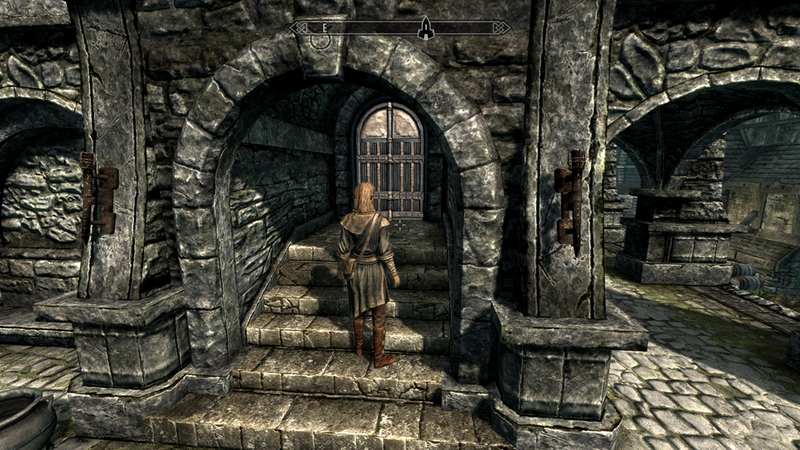 I would have my own estates, and therefore, a sovereign resident of Skyrim. 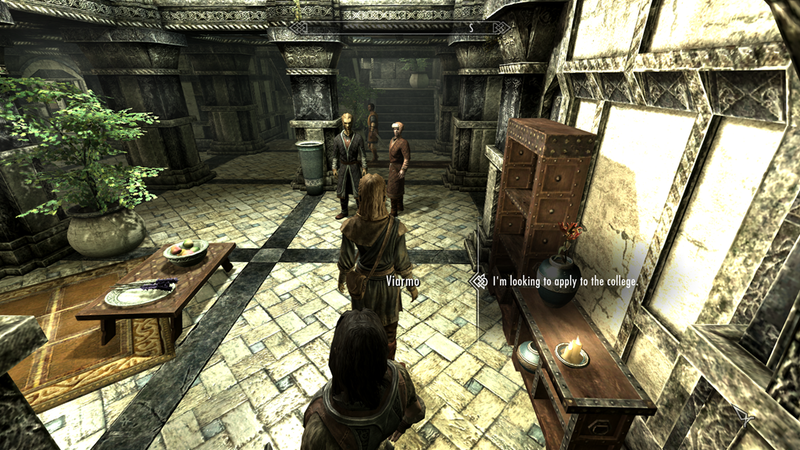 I already held title of Thane in Whiterun, and the Housecarl Lydia. I needed more. Counting out my 83 septims, I sighed hopelessly. How was I going to gain estates? An impossible task, but I didn’t have a better plan. It was this, or marry the Supreme Commander Justicar’s son, Verin. I was not going back. Nearly finished with my alchemy tools. I’m in the process of testing them now. Database and most of the queries are finished. I need to polish the layout and interface. My goal is to make them mobile web app friendly. My twin brother Alinius. For most of our lives, the only family we had were each other. Our parents were away on Thalmor business. We were mostly raised by our Bosmer caretaker, Anariel. She was more mother to us than our own mother. We did not have sibling rivalry. Perhaps it was our twin bond. We felt we were male and female halves of the same spirit. We were constantly trying to best each other, but not in a jealous or malicious way. We strove to make each other better. My name as pronounced by the Altmer dialect was az-ur-I-ah. The Cyrodiilians pronounced it, ah-ZAER-ee-ah. The Nords seemed to pronounce it ah-ZEER-ee-ah. My brother called me “Zeri”. I called him “Alin”. Handsome, intelligent, and popular, Alin’s one fault seemed to be his vanity. He rather lavished the attention and fawning of his many admirers. The way they’d giggle and blush as he walked by made my eyes roll and stifle a gag. He actively encouraged this, which would be proceeded by me lecturing him on courtly behavior. He’d probably kissed half the girls in the Imperial City. They didn’t even have to be pretty. We moved to Alinor (Summerset Isles) before he could finish the other half. Wait. Something was odd. I wasn’t dreaming of his hands. I was looking at his hands. Incredible. I wiggled his scarred finger.